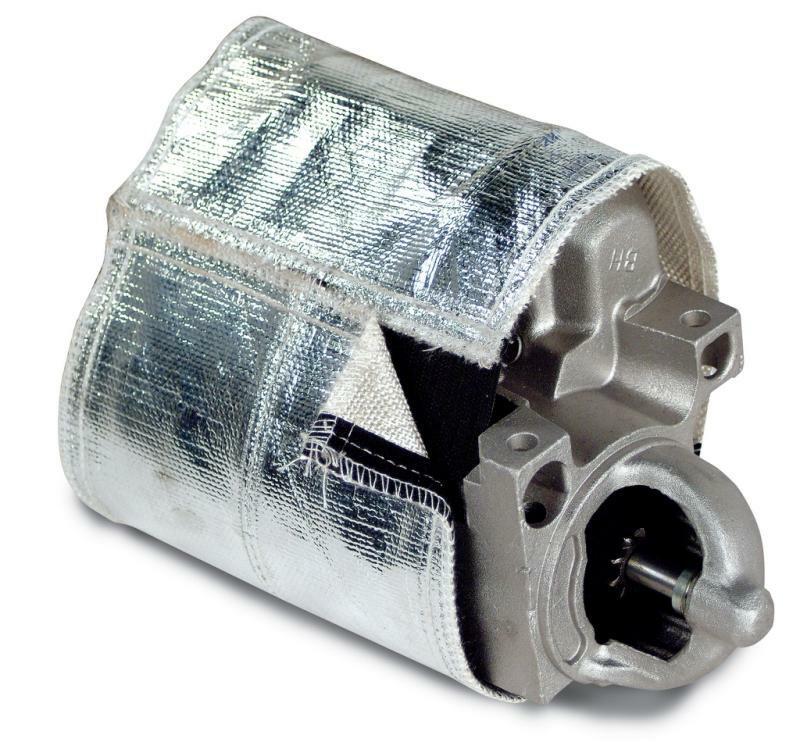 Originally designed to protect starters from heat, Versa-Shield can also be used to protect cool cans, carburetors, fuel pumps and many more areas of a car, boat, RV or heavy-duty truck. It has also been found helpful for shielding electrical boxes and instruments from intense heat. Versa-Shield can easily be cut to shape, and attaches to itself with hook and loop material. Versa-Shield will fit most starter assemblies. Simply cut off excess material with scissors or a sharp knife. This turbo kit is designed to fit all turbos from the sport compact turbos to the large over the road trucks. Designed to reduce turbo lag and reduce under hood temperatures, the Turbo Insulation Kit adds additional horsepower while protecting costly components from unwanted heat. The kit comes complete with all the materials necessary for a clean, professional looking installation. DEI’s NEW Cell Saver is the Ideal protection for any automotive battery. Batteries are very susceptible to heat and vibration that could cause premature failure and hazardous leaks. Cell Saver is very capable and will absorb and neutralize any damaging leaky battery acids. DEI’s Cell Saver’s material is capable of withstanding radiant temperatures up to 2000° F.
Design Engineering, Inc. (DEI) has introduced their Hub and Rotor Cover to protect professional mechanics and backyard do-it-yourselfers alike from the potential of serious burns. Working in and around hot brake drums and rotors such as changing shocks, springs or suspensions can be a painful experience without some type of protection. It’s not just for shielding against harmful hot spots but can also act as a guard against any sharp edges and protect against dirt, dust and airborne particles around the track, shop or backyard garage. Manufactured of the same material as Heat Sheath. The Plug Wire Sheath was designed as an inexpensive protection for plug wire boots or any spot on a plug wire that is close to heat and requires additional protection. 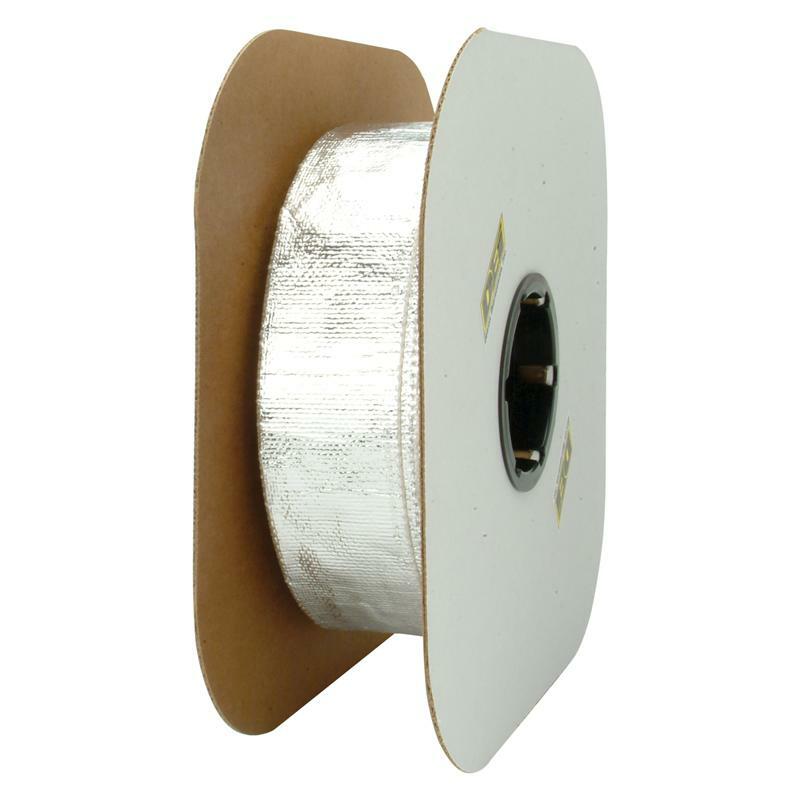 The Aluminized Plug Wire Sheaths can also be used on lines, wires and hoses that need protection in a specific area. The Aluminized Plug Wire Sheaths are 6 inches long and 3/4 inches in diameter. Design Engineering, Inc (DEI) has developed a product that offers burn-through protection for dyno tie-down straps. Made of a high-temperature resistant aluminized mylar material, DEI’s Dyno Strap Heat Guard will withstand 500°F direct heat and 2000° F of radiant heat. It measures 5” wide by 3 feet and easily slips over dyno tie-down ends and slides over strap to be positioned near the area where exhaust heat exits. Heat Screen with adhesive backing is an excellent method for reflecting unwanted heat from areas and surfaces needing protection. With a thickness of only .060 inches, Heat Screen requires minimal clearance and is capable of withstanding 2000°F of radiant heat. Ideal for protecting body panels, floor boards, gas tanks, fairings and for use under carpeting to name a few. Uses include race vehicles, marine, truck, SUV’s, RV’s, aviation and industrial applications.